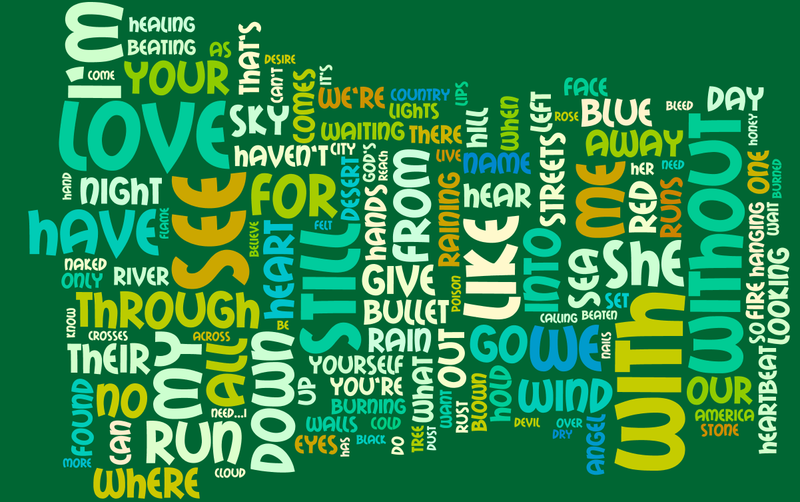 Thanks to the wonders of wordles, and after a few requests, I’ve now compiled a gallery of lyric wordles from all U2’s studio albums. Click on each one to see its full glory. 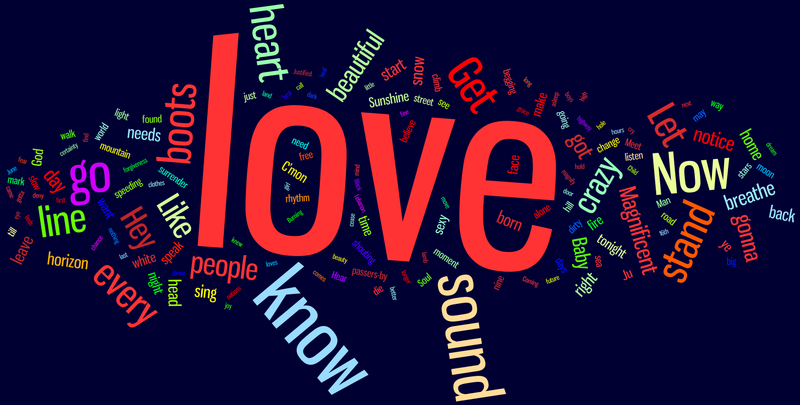 Some of them are particularly striking; not surprising how often the word ‘love’ appears – but there are a number of others that stick out. Enjoy. BTW Now I know exactly what some people (so-called friends) are going to say to this. Does this man do any work? Well, the answer is actually yes. But I have the sort of brain that needs a lot of things buzzing around at any one time – which is why I always have a few mini-projects on the go to dip into every now in order to sustain concentration on the big things (like writing talks etc). So each one of these took about 10 minutes (and most were done during the course of last Friday, the whole of which was spent talk writing). Just so you know. Not that I’m trying to justify myself or anything… that much. 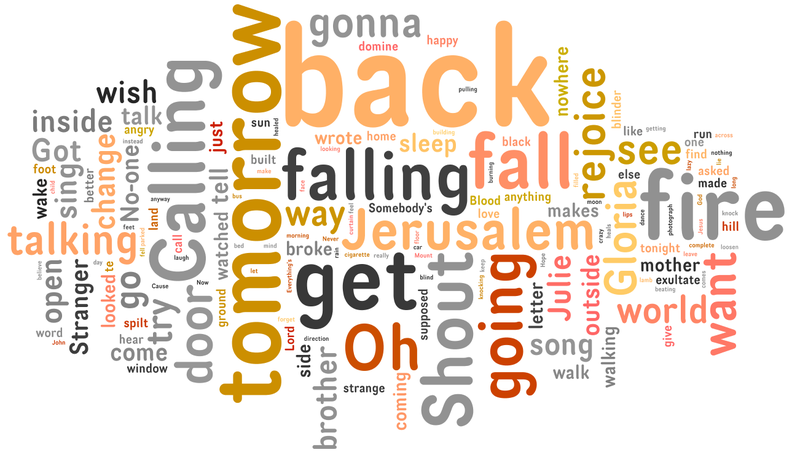 See them in their original state on Wordle.net. Feel free to copy and ‘borrow’ – but please do credit where credit’s due! Funny how almost all of them have LOVE HEART KNOW being the most visible. I’m surprised to not spot any SOUL KNEEL during the first glance! Awesome work. I wonder what would the “Best Of” collection look like! ?